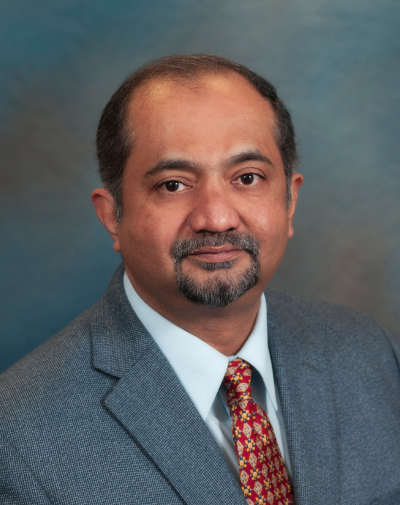 Dr. Muqtedar Khan is Associate Professor in the Department of Political Science and International Relations at the University of Delaware. He earned his Ph.D. in International Relations, Political Philosophy, and Islamic Political Thought, from Georgetown University in May 2000. He founded the Islamic Studies Program at the University of Delaware and was its first Director from 2007-2010. Dr. Khan is a Fellow with the Institute for Social Policy and Understanding. He was a Senior Nonresident Fellow with the Brookings Institution [2003-2008] and a Fellow of the Alwaleed Center at Georgetown University [2006-2007]. He has been the President, Vice President and General Secretary of the Association of Muslim Social Scientists. 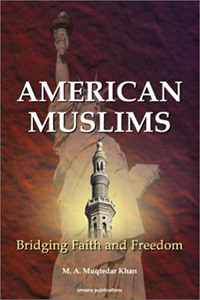 He is the author of American Muslims: Bridging Faith and Freedom (Amana, 2002), Jihad for Jerusalem: Identity and Strategy in International Relations (Praeger, 2004), Islamic Democratic Discourse (Lexington Books, 2006) and Debating Moderate Islam: The Geopolitics of Islam and the West (University of Utah Press, 2007). Dr. Khan frequently comments on BBC, CNN International, FOX and VOA TV, Bridges TV, NPR and other radio and TV networks. His political commentaries appear regularly in newspapers in over 20 countries. He has lectured in North America, East Asia, Middle East and Europe . Dr. Khan is from Hyderabad in India. He is married to Reshma and has a son Rumi, and a daughter Ruhi. 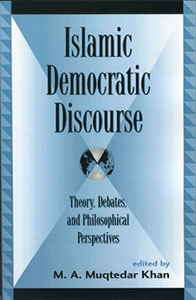 His articles on Islam and American Muslims can be read at www.ijtihad.org and his commentaries on global politics can be read at www.Glocaleye.org. 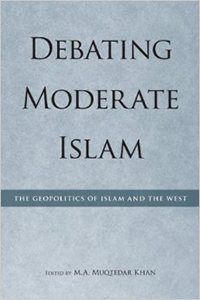 Muqtedar Khan is one of the rising stars among Muslim intellectuals in the West. I think that Dr Khan helps reinforce that the war on terrorism is not a war on Islam. Muqtedar Khan brings passion, eloquence and intellectual power to bear on his subject. 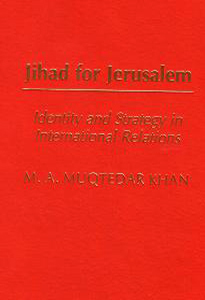 Muqtedar Khan’s intelligent, reasoned, self-critical, impassioned and provocative Muslim voice makes a distinctive and significant contribution to the process of reexamination and reform that has been made even more urgent in the aftermath of 9/11. To my mind, Dr. Muqtedar Khan has lived up to the challenging role of of the public intellectual in a time of crisis. Khan believes his more liberal voice highlights a historical tension between traditionalist Islamic theologians, who tend to furnish more conservative fatwas and Islamic philosophers who go for the more flexible rulings. But make no mistake: Khan, 36, is one of a growing number of young, moderate Muslim thinkers who believe themselves engaged in a battle for the soul of Islam.